I normally don't like doing video posts of an event because the context of such videos is most often suspect.
. Yeah, they're acting silly like teens tend to do. But, what we're also watching in the video is free speech in action in America. The Native American man is singing his song, exercising his right to free speech. The teen are reacting to him, maybe it’s dumb, but they also have the right to exercise their speech. That's what I see here. 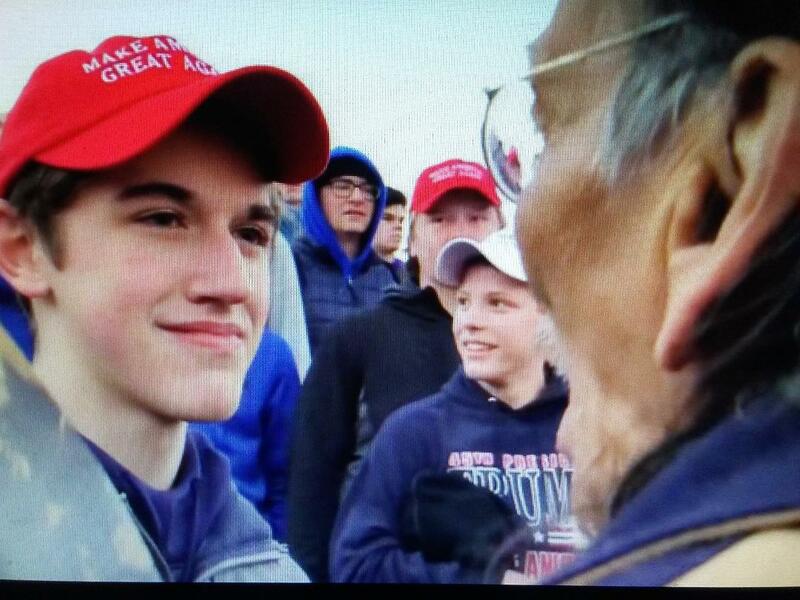 NY Post reports a video of a group of mostly white teen boys taunting a Native American man during the Indigenous Peoples March in Washington, DC went viral Saturday, prompting widespread criticism of the youths. 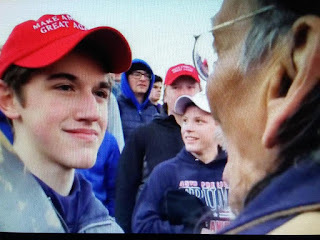 The images show a throng of boys, many wearing Make America Great Again hats, surrounding the man as he beat a drum and sang a song. One boy is also seen standing and smirking close to the man.